Over time your teeth will start losing their brightness due to many reasons.The most common are poor dental hygiene, tobacco use, drinking liquids such as coffee, tea, and red wine that cause the discoloration of teeth, or simply aging.But do not let that stop you from smiling! We have the right solution to your problem. If you think your teeth do not look their best, stop by our office for a consultation with our experts who will determine if you are the right candidate for teeth whitening. 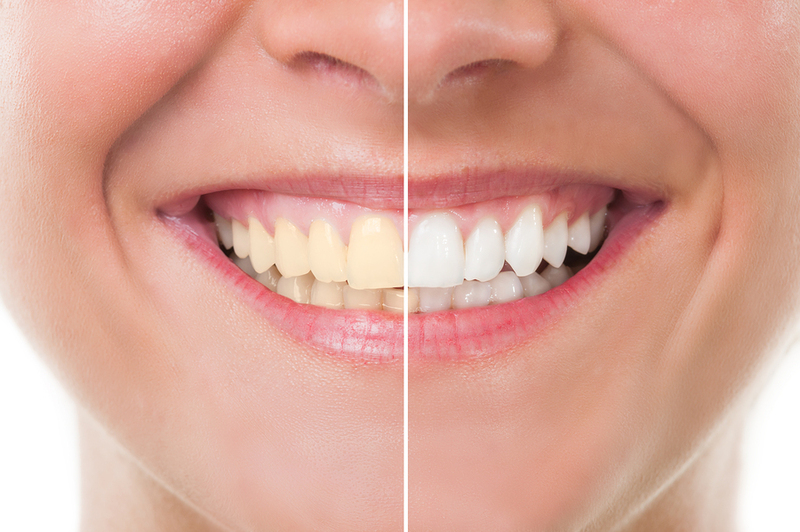 Teeth whitening is one of the most popular cosmetic treatments that will remove the stains and discoloration and give you your bright smile back! At our office we use teeth whitening trays. First, we will take impressions of your teeth, and then make custom whitening trays that will fit over your upper and lower teeth. This custom-made whitening trays together with the whitening gel that needs to be put in the trays before you insert them in your mouth,can be used at the convenience of your home until your teeth reach the desired shade.